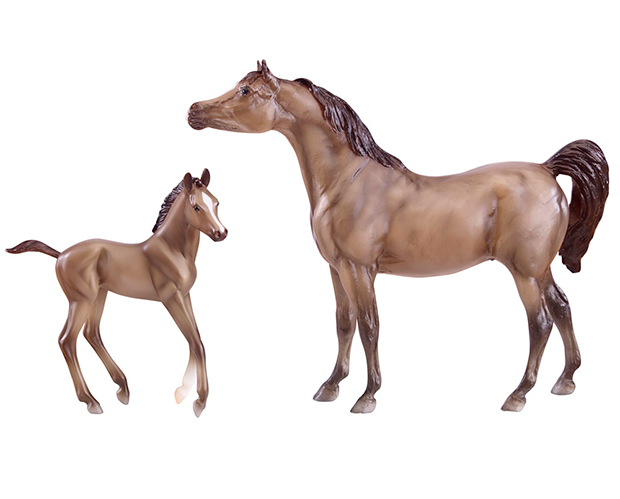 Adorable horse and foal sets make great gifts and are a perfect way to get a child's Breyer stable started! Set includes grey Arabian horse and foal. 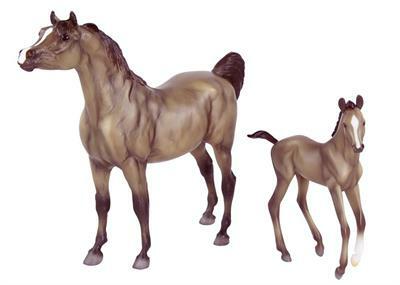 This set of two model horses includes one grey Arabian stallion, made from the Black Stallion mold. The Black Stallion mold was introduced in 1983 and is named for the equine star of Walter Farley's novel, The Black Stallion Returns. It has the round "Breyer Molding Co." mold stamp. It was sculpted by Chris Hess and is Breyer mold #3030BS. The grey Arabian foal in this set is captured in the Morgan foal mold. 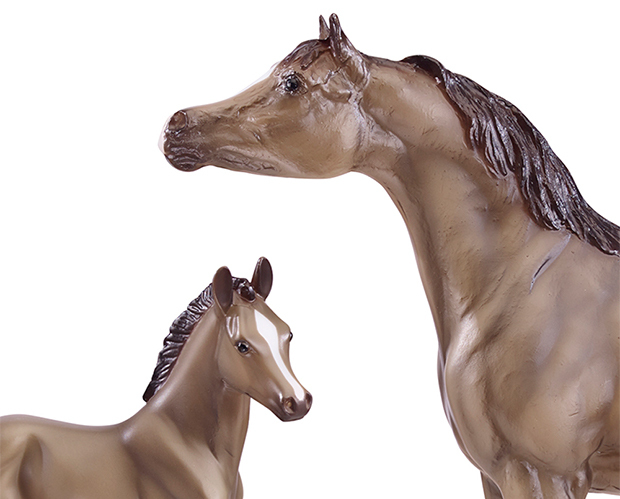 The Morgan Foal mold was sculpted by Sommer Prosser and is Breyer mold #634. 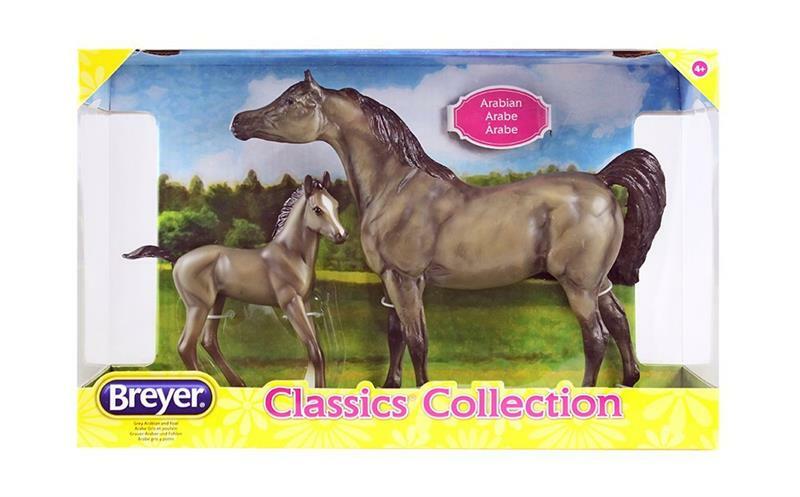 Adorable horse and foal sets make great gifts and are a perfect way to get a child's Breyer stable started! Set includes chestnut Arabian horse and foal.